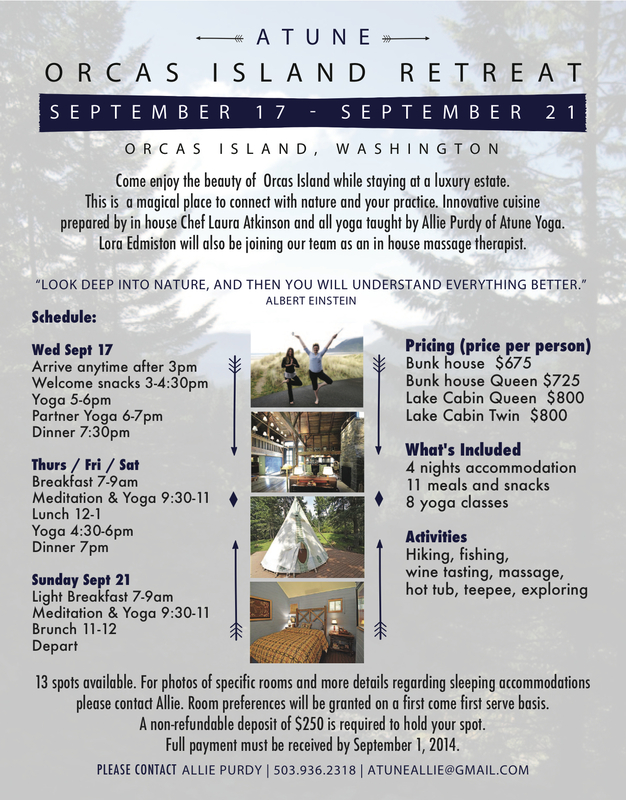 A great vacation with quality yoga instruction. A time to explore your yoga practice on a deeper level and also the opportunity to meet and interact with fun and interesting people. You can stay with the group as much or as little as you choose. What skill-level is needed for the yoga classes? All skill levels are welcome on the retreat. Allie will tailor the classes specifically to those that attend the retreat. Due to the amount of yoga practiced each day on the retreat, Allie recommends that participants practice yoga 3 days a week for the month prior to the retreat so that their bodies are ready for 3 hours of daily practice. No. Unless stated for that specific retreat, excursions are not included. In order to keeps costs low for participants, It is encouraged for students to plan any additional activities that they may want to partake in on their own. While Allie does not provide alcohol on retreats it is your personal decision to drink or not to drink. Typically we drink wine with dinner but it is completely up to you. The number of students depends on accommodations; typically there are 12-20 students on a retreat. What does the typical day look like? Please email atuneallie(at)gmail.com with any questions or comments, or for more information.